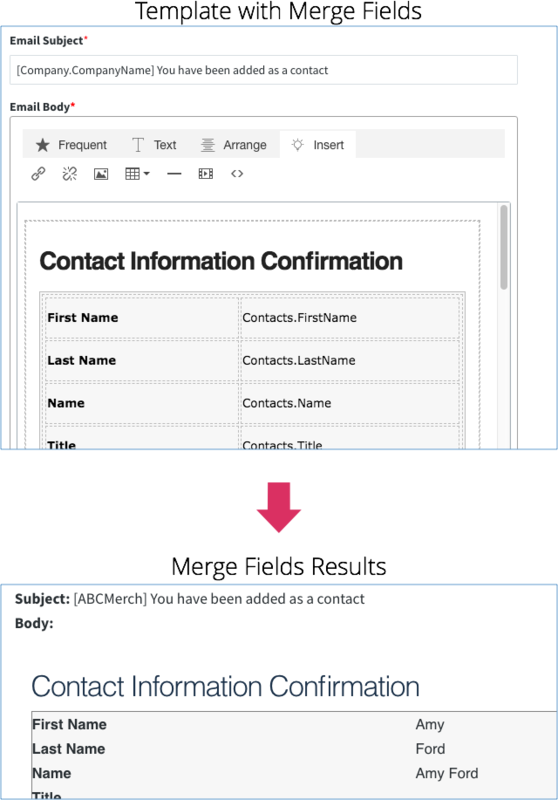 Mail merge allows you to create a template that automatically pulls information (e.g. a customer’s first name) from a table and inserts it into your email. When you enter in a merge field in either the subject or the body of an email, the merge field will be replaced by the appropriate data. Using Mail Merge fields can be powerful, however, it does require you to be familiar with how data is stored within Method. Data is stored in a structure called tables. And if you wish to get information from that table, you need to know its name. And when you know the tables name, you need to pinpoint which information to get, and thus you need to know the field. In the above merge field, you see Customer, followed by a period, and then Firstname. Customer: This is the name of the table you wish to retrieve information from. Firstname: This is the field within that table you wish to retrieve. This will require you to know the names of tables and fields, and we will discuss that further down. You may be wondering, however, how will the email know which Customer to use? That is dependent on the email To field. Depending on whom you send it to, the merge field will update to reflect that. What are Available Merge Fields? If you are familiar with tables, you will be able to find which fields to use. If you are not familiar with tables, then here are a few examples. Customer.Name: Name of the customer as it appears in QuickBooks. Contacts.Name: Name of the contact. Contacts.Email: Email of the contact. Users.EmailSignature: Signature of user signed into Method. Company.CompanyName: The name of your company. There are a few other special fields you can use, not necessarily a merge field, but helpful nonetheless. http://urlforportal/ - This will be replaced with the portal link of the contact it is sent to. http://urlforstaff/ - This will be replaced with the login link for the Method User the email is sent to.